Alleged ex-wife to sue Georgian ex-prime minister | Russian Legal Information Agency (RAPSI). MOSCOW, December 15 (RAPSI) - Inga Pavlova who claims to be the ex-wife of former prime minister of Georgia, Bidzina Ivanishvili, intends to sue him for using her documents for his own profit, RIA Novosti reports on Monday citing her video address on YouTube. 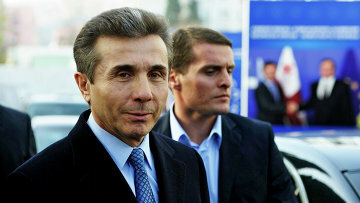 Pavlova claims that in 2012, she saw Ivanishvili’s autobiographic election video that said that on October 18, 1991, he married Yekaterina Khvedelidze. Pavlova claims that she married the ex-prime minister on November 25, 1991 in Paris and divorced him in 1994. She says that she never signed any divorce papers. “Someone signed my divorce papers for me so that I wouldn’t receive what I’m entitled to under French divorce law,” Pavlova said. She also claims that in 2013, Vladimir Ivanidze, an independent journalist, gave her documents obtained from Russian Federal Tax Service. According to these documents, Pavlova was employed by Ivanishvili’s two banks, Impexbank and the Russian Bank of Development. Also, a company, Factorial, was allegedly opened in her name. “After my divorce from Bidzina Ivanishvili he used my documents for eleven years,” Pavlova says and claims that she never worked for the banks and never opened a company. She also says that she reported the offense to the tax police and the case was forwarded to the criminal police in Moscow. The police refused to open a criminal case due to the statute of limitations. “I’m not satisfied with this response. I will appeal this decision in court,” she said. 15:55 15/12/2014 Inga Pavlova who claims to be the ex-wife of former prime minister of Georgia, Bidzina Ivanishvili, intends to sue him for using her documents for his own profit.